Just like with every year, December happened fast. It felt like Thanksgiving was only yesterday, but Christmas is already only less than a week away. For procrastinators who have yet to start their Christmas shopping, it’s red alert time (not that I, uh, know anything about this). While Christmas is the ostensible holiday of joy and cheer, it can also be a source of stress, at least during the days that precede it. Everyone faces conundrums about where to be, who to get presents for, what do they want, and more. By Christmas Eve, it would be understandable if you have turned into the Grinch. Indeed, this is why Christmas season is a ripe time for storytellers. You’ll notice every year brings about a half-dozen of Christmas themed movies. Some are memorable classics (Elf, Love Actually, A Christmas Story), others not so much (Vince Vaughn himself probably barely remembers Fred Claus). 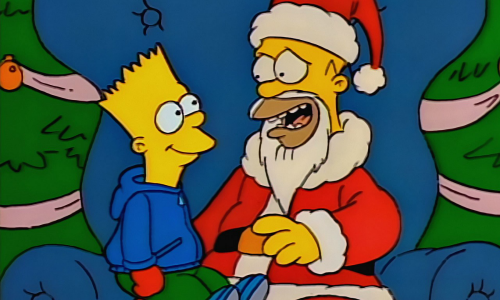 Television is no exception, and the medium has produced a plethora of amazing, heartwarming Christmas themed episodes throughout the course of history. Here are ten of the absolute best to fill your stocking. Well, at least your DVR. Friends is a show that one could pick several wonderful examples from. 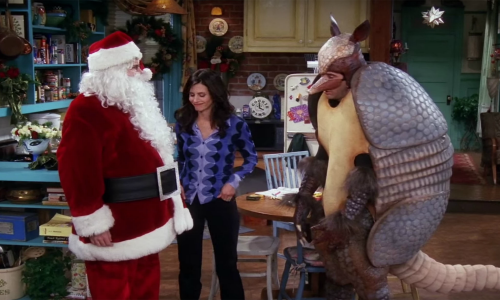 However, this episode–when Ross dresses up as a holiday armadillo because there are no Santa costumes left–is one of the best episodes of the series for any time of year. This episode incorporates a celebration of Hanukkah as well, but no matter which holiday you celebrate, you will find it hard not to laugh. This episode carries special significance not only as a beloved Christmas episode, but as the series premiere for one of the greatest shows ever produced. On December 17, 1989, Fox unwrapped the gift of the hilarious yellow family for American audiences, a gift that audiences have yet to return. But apart from the historical significance, it’s a wonderful episode, with a particularly heartwarming introduction the family dog, Santa’s Little Helper. Christmas is a time to celebrate the wonderful friends in your life, and no show better exemplified friendship like How I Met Your Mother. In this episode, one friendship is tested, when Lily finds an old voicemail where Ted calls her a word that the FCC won’t permit CBS to air. “Mother” always did a phenomenal job of combining laughs with sentiment, which usually is a great recipe for a Christmas episode. Office Christmas parties are rarely the highlight of anyone’s Christmas season, but not everyone works at Dunder-Mifflin. 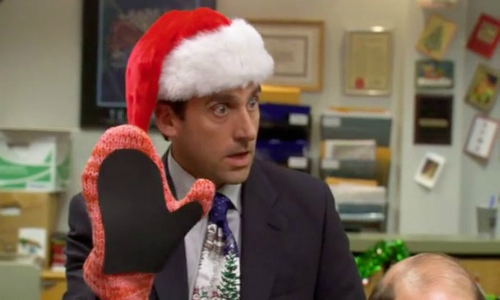 The Office was famous for turning the awkwardness and mundanity of office into laughs, and they did so their second season Christmas episode, where the office’s Secret Santa exchange turns into a disastrous game of Yankee swap. Don’t expect too much sentiment from this one; just the dark laughs “The Office” built its sterling reputation on. Christmas can stress already fractured family dynamics. Because of that, Gilmore Girls seems a natural for an outstanding Christmas episode, and “Forgiveness and Stuff” is that episode. Lorelai is disinvited from her parents’ annual Christmas party… that is until her father suffers a heart attack. Rarely did a show make you laugh hysterically one minute and then break your heart the next like “Girls” did, and this episode is no exception. When you think about, isn’t the idea of an immortal man who lives in the inhospitable north pole with a bunch of elves kind of a story of the supernatural? As such, The Twilight Zone saw it to produce their own special kind of Christmas episode. 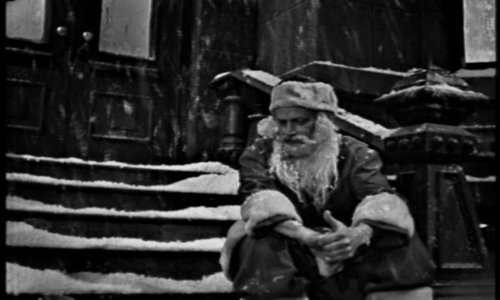 The episode–about a department mall Santa who may or may not be the real Santa–is the “Twilight Zone’s” own version of the twilight zone. That’s because for once, the show was heartwarming, not disturbing. 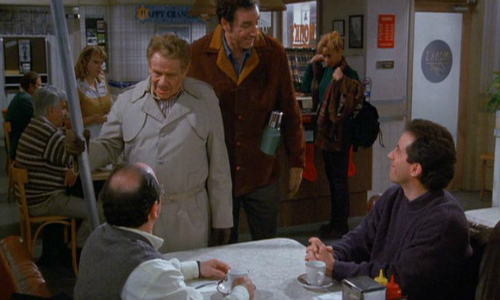 If I ask you to name the first five Seinfeld quotes that come to mind, one will most likely be, “A Festivus for the rest of us!” That quote comes from “The Strike,” one of the series’ best overall episodes, and the closest it ever came to a Christmas episode. Like the rest of the series, the plot of this episode is mostly irrelevant. Just enjoy the laughs, with both sides of your face. 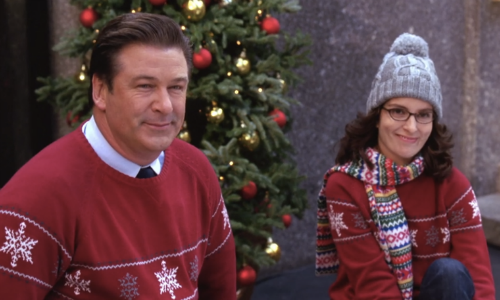 Like the previous entry, 30 Rock was not the show for you if you were looking for heartwarming sentiment. That doesn’t mean the show couldn’t deliver a knockout Christmas episode, which they did for “Ludachristmas.” This episode, featuring guest appearances from the like of Elaine Stritch and Andy Richter as family members who create discord for the main characters, “30 Rock” reminded viewers of the horrors that come with the holiday, but in the most hilarious way. You’ve probably noticed by now that most of the shows on this list are sitcoms. Historically, sitcoms are more inclined to do special Christmas episodes as opposed to dramas. The West Wing, however, had multiple Christmas classics. 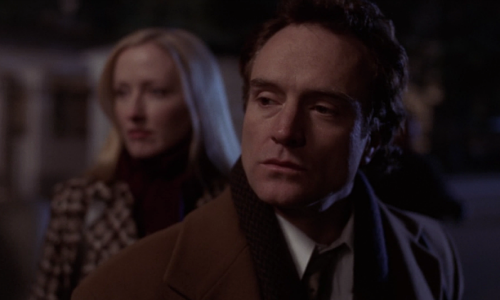 The best of the best is “Noel,” where Josh is forced to confront the trauma of being shot. While that may not sound like the most heartwarming premise, just wait until the story Leo tells Josh at the end. It could make even the Grinch cry. Every year, you will hear a legion of people complain about how Christmas has become overly commercialized. So why not highlight the show about the people who were the, well, commercializers? 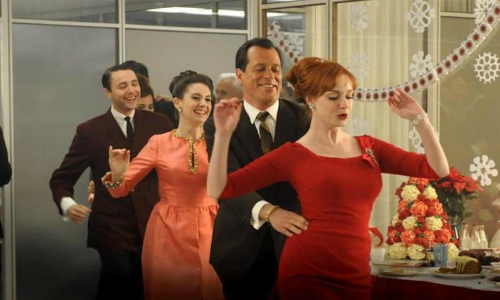 Set around the office Christmas party, this episode highlights many of the show’s best themes: traditionalism vs. modernity, workplace dynamics, and alcoholism (the samba line in the episode will have your reaching for the eggnog).